Rahul Gandhi will contest elections from two constituencies-Amethi and Wayanad. 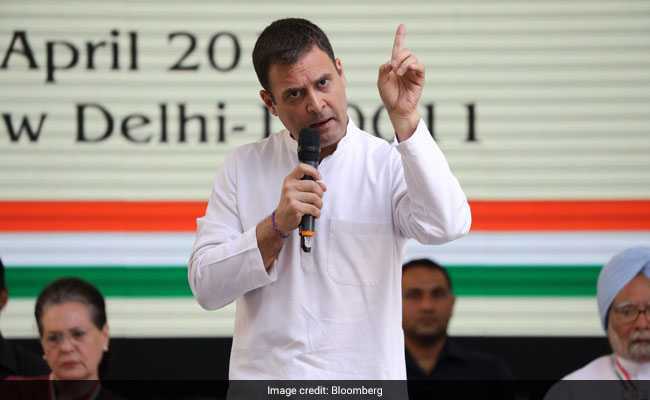 Rahul Gandhi, president of the main opposition Congress party, will not only have to compete with two serious contenders but several others who share his famous last name. He will fight independent candidate K.E. Rahul Gandhi, a little-known regional party member K. Raghul Gandhi and another independent candidate who goes by the name of K.M. Shivprasad Gandhi, along with others in Wayanad in the southern state of Kerala. The final list of candidates will be drawn up on Monday, the last date for withdrawal. Rahul Gandhi is contesting from Kerala, along with his traditional Amethi seat in Uttar Pradesh. Rivals field dummy candidates in a bid to confuse voters in the polling booth, thereby reducing their chances of winning. In some cases, these candidates are put up to circumvent the ceiling on election spending. In Maharashtra's Hingoli constituency, Congress candidate Subhash Wankhede is facing as many as five namesakes. In last election in 2014, Bollywood actress Hema Malini faced another independent candidate with similar name while Chandu Lal Sahu of the ruling Bharatiya Janata Party faced 10 namesakes in his constituency in Chhattisgarh state. As part of electoral reforms, the Election Commission is using candidate's photographs along with symbols for the first time to curb this menace.